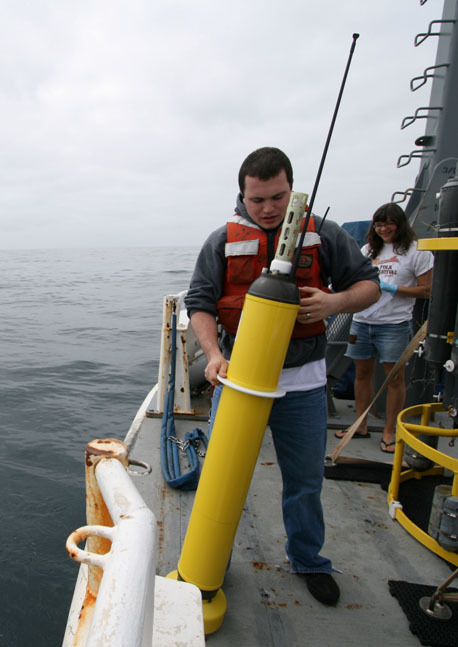 " Scientists can now remotely monitor the ocean’s changing chemistry with help from some of the five-foot-tall Argo floats that drift with deep ocean currents and transmit data via satellite back to land. 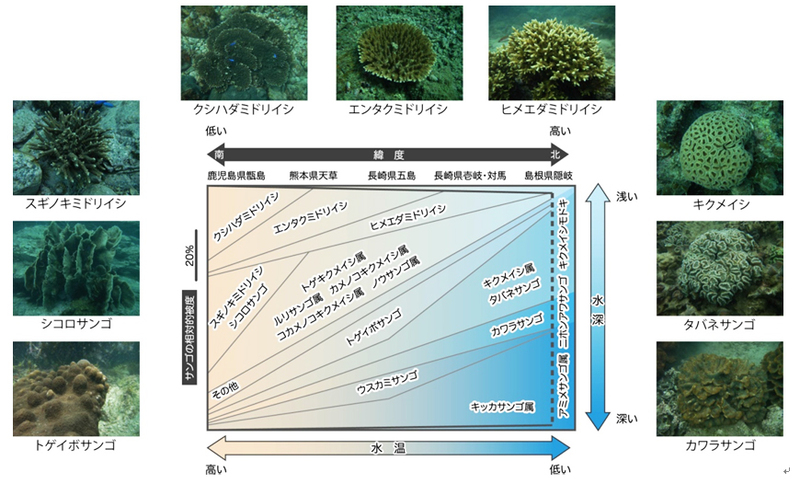 A new and innovative method shows how readings of the acidity (pH) and total carbon dioxide (CO2) content of seawater can help scientists understand changes in the chemistry of the world’s ocean. 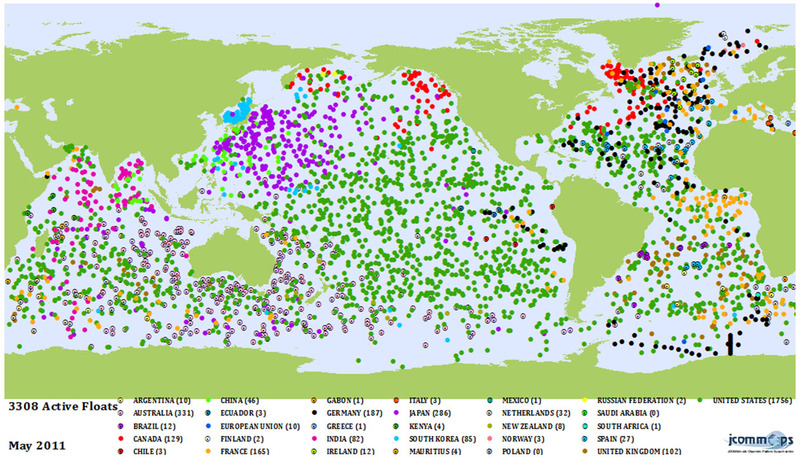 A U.S.-based research team and their Canadian colleagues developed the new approach by determining the relationships between seawater temperature, oxygen, pH and CO2 from observations collected on previous ship-based expeditions in the region in the last five years. 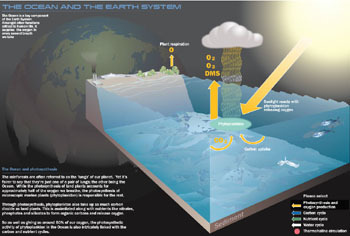 These relationships were then applied to high-resolution observations of temperature and oxygen collected by an Argo float deployed in the North Pacific in early 2010. 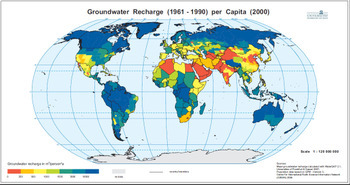 The journal Geophysical Research Letters published the new method today. 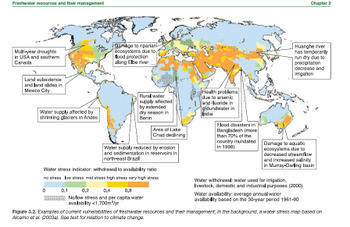 The authors are from NOAA’s Pacific Marine Environmental Laboratory in Seattle, JISAO, and colleagues from the Department of Fisheries and Oceans in British Columbia and Quebec, Canada. To determine pH and total CO2 content, scientists need measurements of dissolved oxygen concentration; about 10 percent of the floats have the sensors that can measure dissolved oxygen. 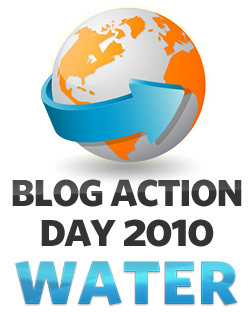 The ocean’s absorption of CO2 causes the level of acidity in seawater to rise. This process, called ocean acidification, can have adverse effects on organisms that form calcium carbonate shells, such as corals, mussels, oysters, and feed stock for salmon like pteropods. The NOAA scientists and researchers at the University of Washington will continue investigating how organisms are impacted by these conditions. 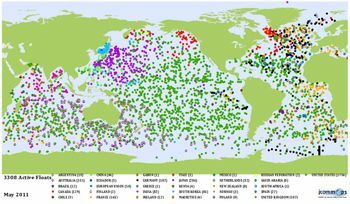 -----image(”NOAA scientists use data from some of the floats in the Argo array to monitor changes in ocean chemistry.”-Credit: NOAA) : 同リリースより "
続きを読む "全球海洋観測アルゴ計画、観測ブイ　Argo floats　で海洋の酸性度の観測を開始"
続きを読む "イベント4/23-24　Earth Day Tokyo 2011　地球のことを考えて行動する日、アースデイ"
New research by the World Resources Institute (WRI) and the Virginia Institute of Marine Science (VIMS) identifies more than 530 low-oxygen “dead zones” and an additional 228 sites worldwide exhibiting signs of marine “eutrophication.” Eutrophication occurs when water bodies are over-fertilized by nutrients that are washed into surface waters from farms and urban areas. 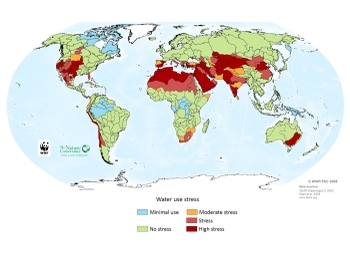 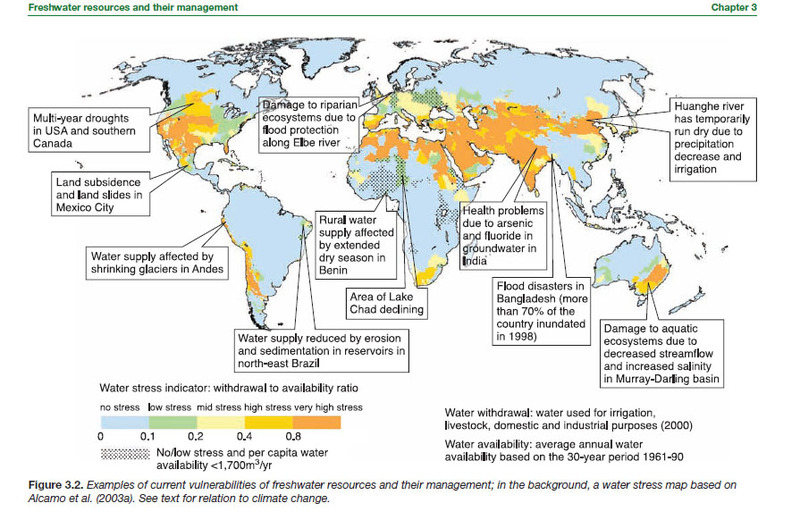 Analysts at WRI and VIMS have compiled the information into a web-based “one-stop shop” that provides a global database and interactive map of affected areas, as well as links to articles, photos, and other resources. 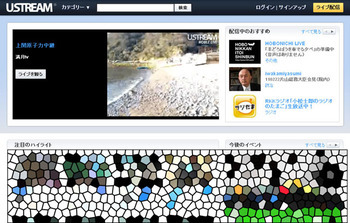 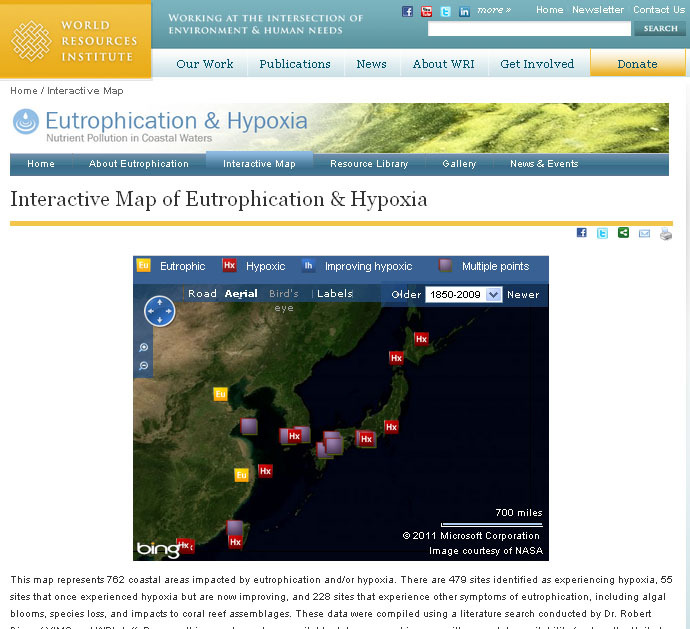 The website-“Eutrophication and Hypoxia: Nutrient Pollution in Coastal Waters”- is at www.wri.org/eutrophication. 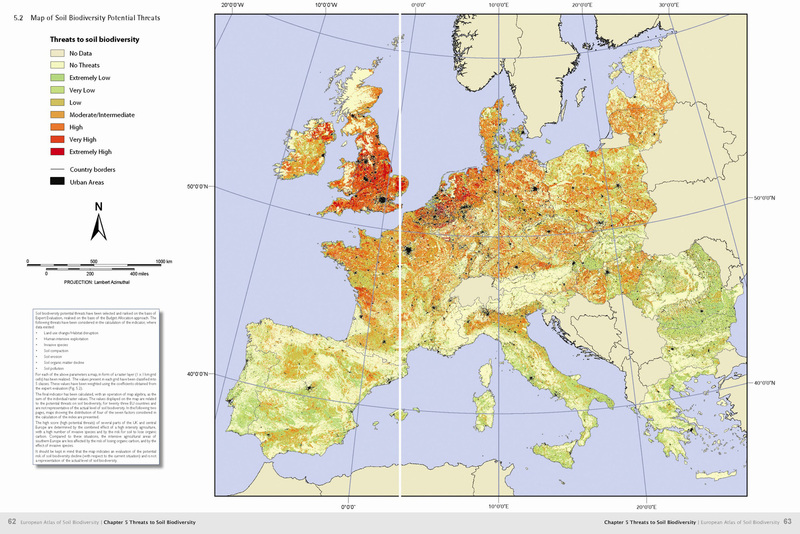 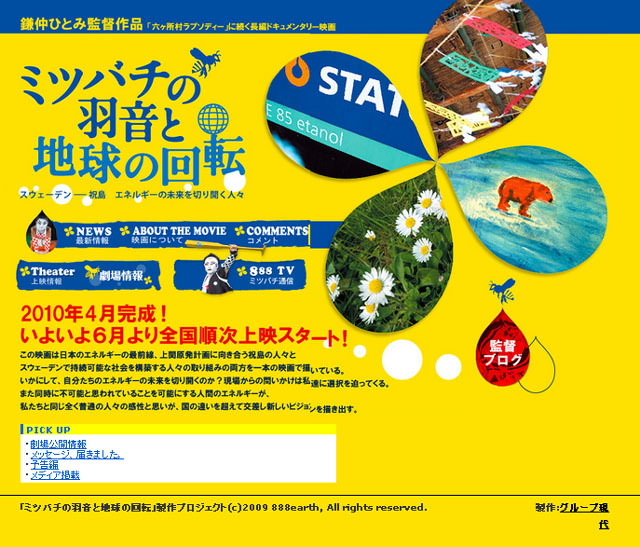 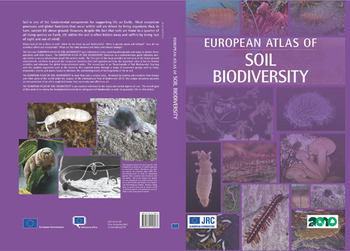 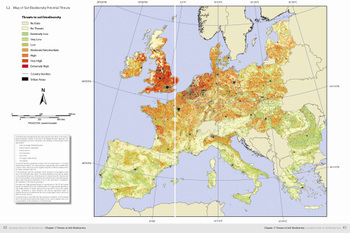 続きを読む "資料「European Atlas of Soil Biodiversity」　ヨーロッパの土壌と生物多様性マップ"